The time has finally come! Following a lengthy beta period, the ability to change your PlayStation Network ID is going to be made available to everyone very soon. And by very soon, we mean today (10th April, 2019) in North America, and tomorrow (11th April, 2019) in Europe. You can change your PSN name using your PS4 or a web browser (PS3 and Vita are not supported). The first time that you change your PSN ID, it's free. After that, it costs £7.99/$9.99 per change. PlayStation Plus subscribers get a discount at £3.99/$4.99. You can change your PSN name as many times as you want (if you're willing to pay, of course). You can change your PSN ID back to a previous ID by contacting PlayStation Support. This doesn't cost anything. A "large majority" of PS4 games support PSN ID changes. Some games may still show your old ID. Sony's put together a list of tested games here. After changing your PSN ID, issues you may run into include: loss of in-game progression, loss of some in-game functionality, inability to access DLC. Again though, Sony says that this shouldn't be the case with most games. How does this sound to you? Will you be changing your PSN ID? Give yourself a new identity in the comments section below. I’m fine with mine, but this is cool for those that want it. It took them long enough, but it's great that it's finally available. Except for that last bullet point about possible loss of progression and functionality in a few games, it all sounds very reasonable. I'm still fine with my current username, but it's good for those that wanted to change theirs. (but it's pronounced 'Throatwobbler Mangrove'). £7.99 to change a name after the first change. Give over! Why on earth would it cost ANYTHING to change your name, let alone that much? Silence. Rejoice, the crying can stop. Awesome sauce. As someone that has wanted to change their avatar from billy_big_Balls_69 for ages, this is great. Weird how you can change your original name back, and prev ids cant be claimed by others. Gonna keep mine. @Rudy_Manchego have you balls shrunk billy? Thankfully at last! Can't wait to change me name. Well this was unexpected... no, not really, they did say it was coming 'early' in the year. I do hope, however, that it doesn't cause difficulties for people that don't change their PSN names. @tomassi System could be abused, but I hear ya. They could've made it in such way to only be able to change your username once every 6 months. It's tricky allowing people to keep changing their names. I'm sure it ties into preventing scams and/or other technical problems in certain games. As you can see this procedure isn't butter smooth. Paying money for that is an incentive to only change your username if you really really want it badly. Of course there are still people bringing the fake outrage, make sure you get a name right this time you crybabies, Xbox charges as well after the first name change. I'll be able to drop the 'gaming' from mine now. I dropped it from my twitch channel so I'm glad I can now drop it from my PSN as well. Not a huge change, but a welcome one nonetheless. Last bullet point scares me too much, I'll hold out and see how it goes for everyone. Why would you change names regularly anyway? That last key point kinda worries me though. Still nice to have. @JJ2 I've no idea, but my incredulity at being fleeced £8 every time I want to still stands!! Ill be changing mine so that it's the same across Xbox and PS. I suppose some folks would do it to troll folks. I don't think someone should have the right to do it all the time, since it can be used for bad intent. On Xbox, you only can do it every 6 months and that makes sense to me. wow that is indeed a suprise! i thought this would have come out with the ps5 tbh. anyway i won't change my name but i'm happy for the people that will and now can. I shudder to think what state their database is in if you can't do something as simple as change an ID without some of those possible consequences. Seems it was cobbled together by someone who really didn't know what they were doing, didn't future-proof it, and now they're stuck with it. It would surely be worth their while getting everything in place, porting to a new database structure, then shutting PSN down for a few days while they move to a new, better, more flexible solution. It would benefit everyone on the long term. But what will people whine about now? The void must be filled! @Bluetrain7 Oh this won't stop people whining. The next wave will be "I changed my PSN ID and now can access stuff I bought." I bet we don't even have to wait 24 hours. I don't think people should be able to change their IDs. It'll ruin the experience for those of us who got it right the first time and compromise Sony's vision. Quick question. If I change my PSN ID, do I lose any of the games I bought on my PS3/PS Vita (even PS Plus games), or are they not affected at all? @SirSondox They didn't make that part very clear. They just said Vita/PS3 isn't supported, but they don't mention if they are affected. My guess would be they aren't and those games will still use the hidden/old name since it seems they are keeping it in the database. I'm not risking my large Vita/PS3 library on an assumption though. @NathanUC Given the fact they hadn't said anything about that, it probably won't affect a thing but I'm willing to risk it. I’m glad this was implemented for those who want it. I’m good with Lacerz. I’ll leave it be. @tomassi Microsoft do it too. So maybe want to take it up with them since they started that practice, same for paying for online. You think it should be a pound? Like you buy a pound shop name? I wonder if they'll clean out the names that have minimal characters and just one trophy that were obviously just registered to hold them. @Rudy_Manchego So you're saying the name 'billy_big_Balls_69' will soon be free? Noted. I was interested, but there seem to be too many issues for my liking. I don't particularly dislike my PSN name, so I guess I won't change it. Yet. @David187 Why does it cost money? @JJ2 I think it should be free. What difference does it make if I want to keep changing my name? What cost do Sony incur for me doing that, and why do they? Too bad. I don’t like people changing their name. It’s confusing. So if i decide to change my id and someone searches for me using my old id what would happen...would i still be able to be found using my old id ? @tomassi They charge for PSNID changes because of the change of records. They have files with your name on it. Every time you license transfer, buy anything, send a message, earn a trophy. That’s a lot of information to keep track of, and when you change your PSNID there is an issue of verification I guess. When you sign into PSN with your account, the PlayStation knows it’s your account. sure all the different games play a part as well sure they make a pound or 2 for the effort I guess everyone wants to be paid. this is the message I got when I asked a mate about it kind of makes sense. @Paranoimia you can’t shut down PSN for “a couple days” to fix anything like this as a solution. A lot of games don’t function without PSN live. They say as much with what changing your name can cost you in certain games. And for sure they didn’t build it on the correct architecture years ago. But that was almost 20 years ago on the PS2. Definitely a mess!! Seems they figured out the best solution they could. People, do not change your PSN name. Regardless how much you hate it or however ashamed you are because of it. Just don't. This will be a source of so many problems until it's ironed out, like in ten years. Nobody needs that pain in their life. The loss of data doesn't apply to cloud saves in any way right? @starhops No, I'm not saying they could fix it in a couple of days. I'm saying they should have everything in place, tested, and ready to go, on a new flexible and future-proofed database. Then they shut down PSN for as brief a time period as possible while they port the current database to the new one; they can say it will be X days to give themselves a bit of breathing space, but most likely it would take several hours tops. I suspect PSN would need to be briefly inaccessible so that things like trophies earned during the switch don't get 'lost', which could theoretically happen if the transfer took place on a 'live' PSN if you earn a trophy whilst your account is being converted. Sure, you might lose access to some stuff during that brief time period, but it would most likely be a worthwhile sacrifice for everyone concerned, given that currently you might lose access to some things more or less permanently unless you change your name back. 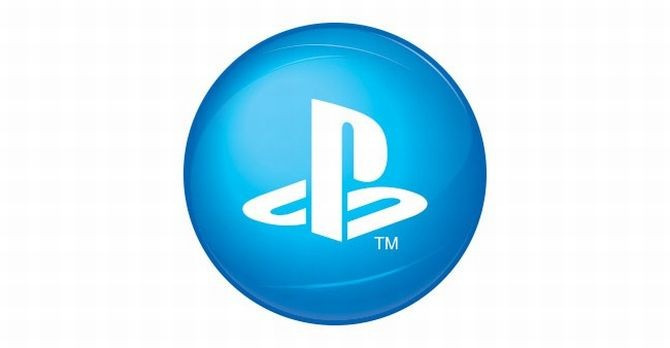 I hope they are currently working on moving everything to a new, improved set-up for PS5, so that new features can be implemented far more easily. Well as a customer I do like free stuff. On the other hand it's a way to make people think. First time they chose a name they go Clink. The second time they go Clank. Then afterwards they got to think harder to choose a name. All in all there's surely matter for a new outrage right there. There is another option available if you want to change names. Change your real name into your online handle, of course you would need others to accept your real name but that's one way of doing it without worrying about the potential issues. @paranoimia I've suggested in the past that Sony build an entirely new network for PS5 but give people a two migration period to transfer their account over. Can't wait going to hold off a while though until everything is smoother with games just incase saved games have to restart again. I thought something was up when I saw that flying pig outside my window this morning. Am I the only one refreshing my internet browser every 30 seconds like a maniac because I don't want anyone to steal my new name? @WillMerfi I'm doing it too. @Paranoimia I'm saying that online only games will not work if PSN is down. Good luck telling that shooter community to stop playing for hours or days. I just don't see it happening. That's more a PR nightmare than changing PSN names. @starhops I agree, but if it's for the greater good, they can feckin' lump it for a few hours! @Gremio108 With great power comes great responsibility! Finally, I was waiting for the PSN name change. Going to change it from vgamerist to Alphapatriotsquadron. @Alphapatriotsqau couldn't fit, so I renamed it to AlphaPatriot1. i have a question. What happens if i go back to my ps3 and play ps3 games once i change my ID. Will the games even work? or will it just display my old ID and there are no problems. If its the latter i am fine with with it. As long as my games can still work. HEY RANDOM, Can you please try out Killzone Mercenary, Freedom Wars on PSVita and various PS3 games after you change your PSN ID (online and Offline games), to see if you have lost your saves... sorry for being guinea pig. My only concern is with affected games. I don't have any on ps3 any more but whst about the older ps4 games? @Katsudon96 Ok thanks for the idea. But if you upload a gamesave to the cloud wouldn't it be in your old user id still attached to the game save file so no matter what the game would say it's a different user. @Luna-Harmony that's what I mean. When you change back to your Old ID, because who wants broken save games, then download the Save game from the cloud. @Katsudon96 i would love that too. Someone being a guinea pig if that person doesn't mind. It could be like a fan thing where everyone come together to test ps3 games and archive it for people to refer. @Ludens92 i just changed my name a few hours ago from my real name to Katsudon1996 (Katsudon96 was taken, the bastards). My PS3 games were all fine with no issues, but i don't own any Call of duty games to test the Online stuff like that. My PSVita is also fine, but games WipEout 2048, Fifa Football and Modnation Racers Roadtrip had broken Multiplayer. Each time you launch a game that you haven't yet asked you to log in, which was probably my fault with not changing the Activity Sharing settings. All games that i used showed my new ID except for the split second in Need For Speed: Most Wanted 2012. For the PS4 games. Onrush i kept my character and car unlocks, gained a free 500 premium currency to spend, but lost my Online stats and Level. Little Big Planet 3, i can't find anything wrong. with Worms Battlegrounds, my Worms disappeared. The Last Of Us Re lost Multiplayer Data (lucky i didn't touch it much). im Still testing a lot of the games, but SP Save Games so far have been fine, same with Online. games that have accounts linked to other services like Origin, Cod account, Uplay and Rockstar might need to be reconnected.